This post was submitted by Marcie Dela Cruz for Children’s Miracle Network Hospitals through childrensmiraclenetworkhospitals.org/guest-post. 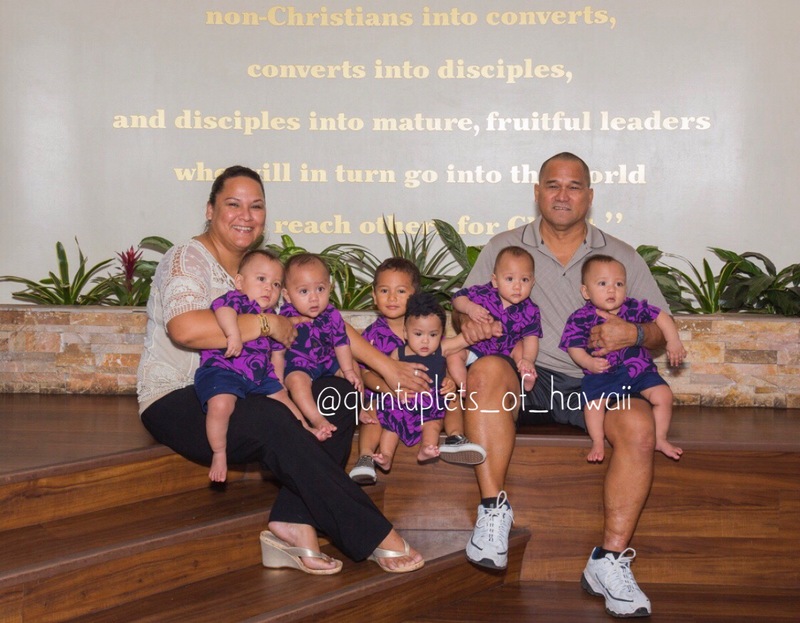 The quintuplets were born at Kapiolani Medical Center for Women & Children on October 10th, 2015 at just 28 weeks and 6 days. They are the first set to be born in Hawaii and the first set ever documented to include identical quadruplets. That’s right, we have identical quad boys: Kapena, Kupono, Keahi and Kaolu, along with a little girl named Kamali’i. Can you imagine growing up with five brothers?! Four of whom are the same age as you? Poor Kamali’i! My husband Ray and I are excited to be able to share some of the crazy awesome-ness we experience each day during monthly blog posts. I thought it would be a fun introduction of our family to share with you some of the questions we get when we’re out-n-about with all our kiddos. Whether we’re at the mall or shopping at Wal Mart or Costco, we anticipate at least a few people approaching us to ask questions. A twelve passenger Nissan NV Van. If it’s up to my husband, we’re done. I’d love to have another baby. Did you take fertility drugs? I don’t think most people truly understand what they’re asking. If they’re asking if I took medicine to have multiples, then the answer is “NO”. But yes, I needed help to get pregnant. Our first son was conceived by IVF and my second pregnancy was a result of two embryos being transferred – one resulted in my girl, and the other split four ways and are my 4 identical boys. Is this really something I want to explain near the rotisserie chicken at Costco? I think not. So the easier answer for me is to just say “No”. How much did you get from the State? I hear this one all the time. Why do people think we got money from the State for having quintuplets? Bizarre! You must have a lot of help?! Nope. It’s just me and my husband. Sure, if we plan on going to the Water Park, or there’s an event we’d like to attend as a family, we’ll recruit from a pool of about 5-6 people that we can count on for help. But other than that, it’s just the two of us. Our goal for our kids is for them to understand that they’re different and people will be curious. We try our best to set a good example for them by politely answering questions and allowing others to take pictures. Soon, our kids will be responding to questions and we definitely want them to be gracious. So if you see us, come by and say hello or give us a wave. We’re happy to introduce you to our six pack. 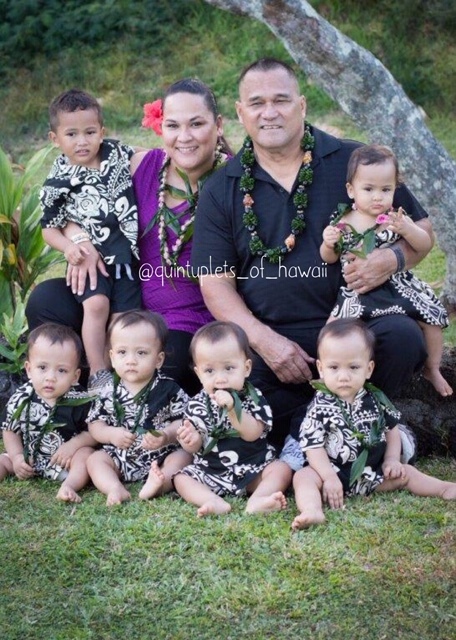 Proud wife and mama to Makaio who is the older brother of Hawaii’s first set of quintuplets; Kapena, Kamali’i, Kupono, Keahi & Kaolu. Previous post: Winnie Wednesdays are here! Next post: Enjoy Lunar New Year at Panda Express!